How in the world I have made it until now without having this easy and fast recipe is beyond me. 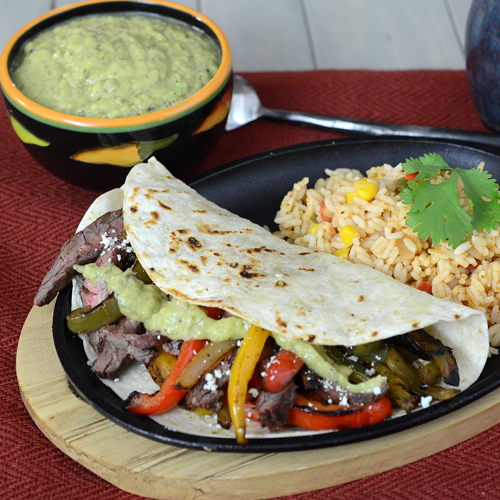 I love Tex-Mex and Mexican dishes because they often use up leftovers and are easy to whip up in 30 minutes or less. My usual go-to condiment for those is a fire roasted salsa, red or green. This weekend my sister was visiting and mentioned a Salsa Verde Cremosa that Julio E posted on a Facebook forum. We started looking up recipes and found that many folks use different things for creating creamy salsa verde, such as cream cheese or avocado. I fired up my Grill Dome kamado grill, modified my salsa verde recipe, and within 20 minutes had my new all time favorite condiment for Tex-Mex foods. 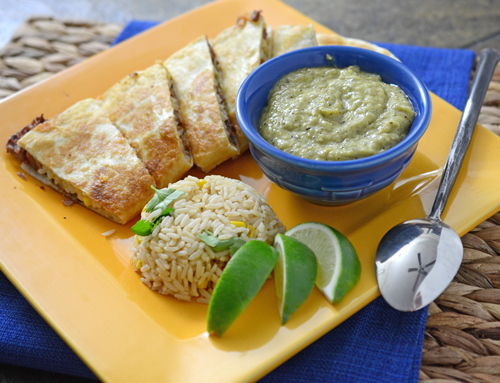 Like the name implies, it's got the flavor of salsa verde with a fantastically creamier texture. You can use any chiles that you like in place of the jalapeno or serrano. For example poblano chiles are only about 1500 Scoville units and would be good for a milder sauce. I find that usually one of each (jalapeno/serrano) is a good mild heat but you can add up to 3 each to really get it hotter. 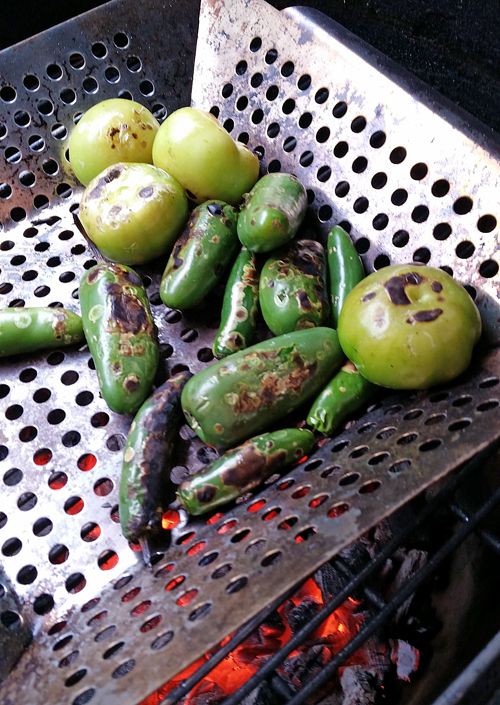 Roast the tomatillos and chiles until charred and blistered, 5-10 minutes. 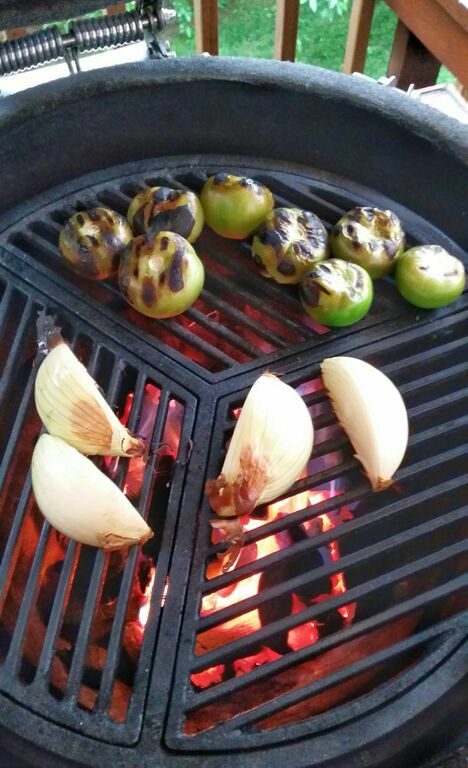 Grill the onions until you have defined grill marks on the sides. Place the chiles and tomatillos in a medium sized bowl and cover with plastic wrap. Allow to sit for 5 minutes, which will steam the veggies and loosen their skins. Slice the chiles in half, remove the seeds, and roughly scrape off the outer skin with a knife. Remove the stem core from the tomatillos and scrape off the outer skin with a knife. 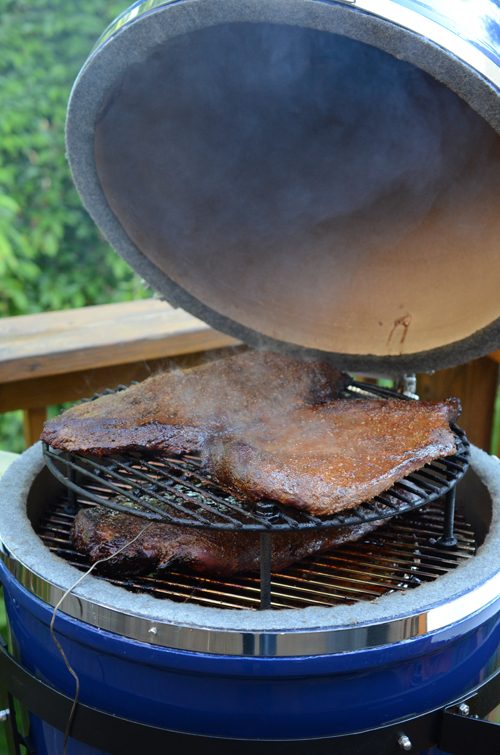 Don't worry about this being perfect, you want some char in this for flavor. Place the tomatillo, chiles, onion, garlic, cilantro, chicken stock, and lime juice. Pulse several times until you get a salsa consistency. If you get it too watery, just simmer it in a small sauce pan until thickened, about 5-10 minutes. Add the avocados, sugar, and pulse a few more times until smooth and creamy. You can char the veggies in a roasting basket such as this. 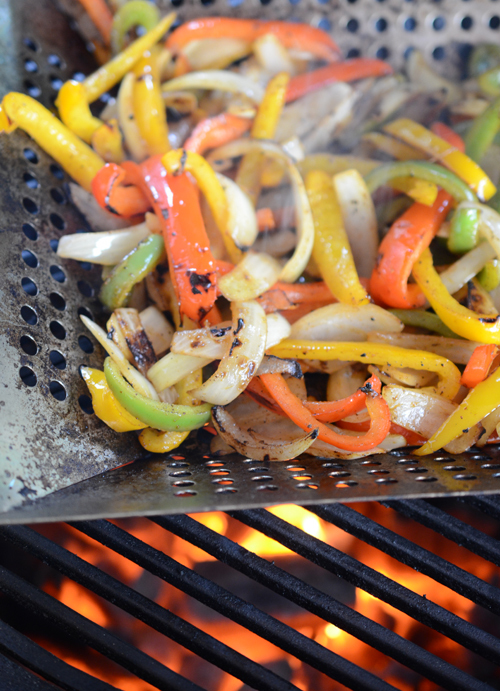 Or you can grill them directly on the grill grates like this. I'd like to say I planned this so you could see examples of each, but honestly, we had to run to the store for more stuff so the veggies got cooked in two batches. There's not a lot to show after this since it all just goes into a blender but here's some of the stuff we ate with it. 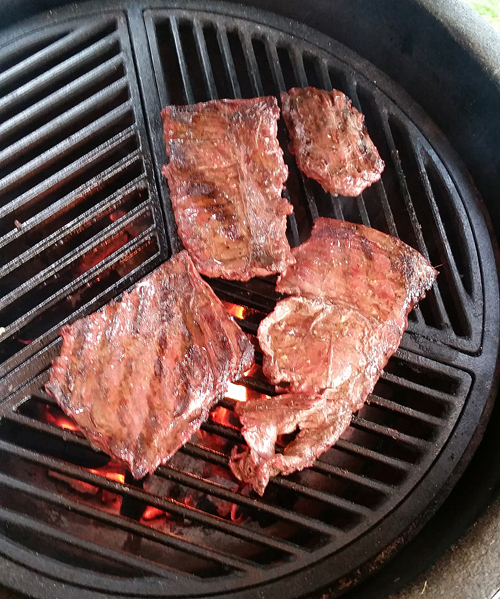 I marinated a skirt steak with 2/3 cup oil, 1/3 cup lime juice, and a tablespoon of my Fajita Rub. 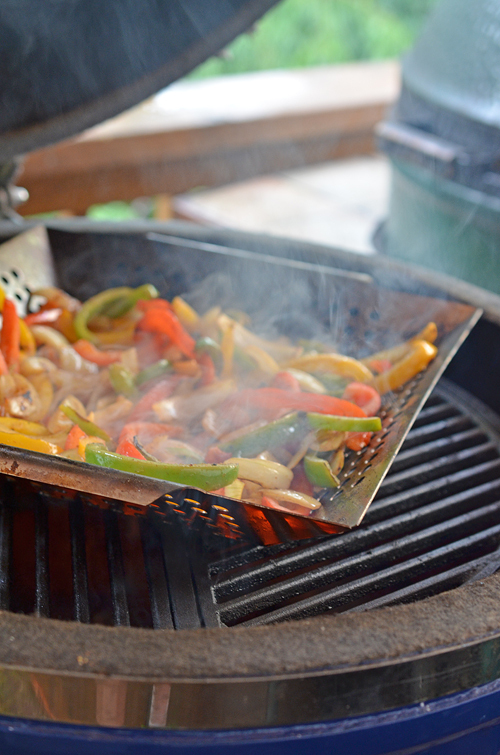 I grilled some bell peppers and onions on my Grill Dome at about 450-500°F. Then grilled the strip steak for about 3-4 minutes a side. After a long day of cleaning out the BBQ trailer, this was a great quick meal. 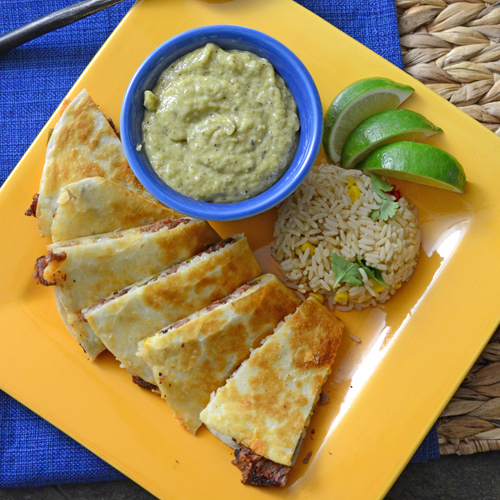 For the quesadillas, I had some beef brisket left over from a practice cook. I put about 1/4 cup of chopped brisket, 1/4 cup of shredded cheese, and 1/4 cup of leftover peppers/onions on a tortilla. Then I pan fried that in shallow oil for about 1 minute per side until golden brown. I love this stuff by itself on chips or as a condiment for dishes like these. The avocado takes an already good salsa and takes it over the top. If you're not into making your own, I guess you could add avocado to store bought salsa verde, but I definitely prefer the homemade version!